They may not be wearable as such but smartphones may as well be – at least among a certain section of consumers. 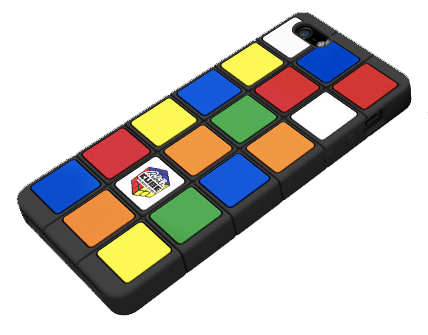 While researching the Rubik’s design I came across a smartphone case design which got me thinking about the role handheld devices could play in communicating mood. This is not a new theme for me – in 2006 I pitched the (massively ahead of its time) MobiMoods app to help teenagers share their moods and receive appropriate content in response to how they were feeling. There was some initial interest in this idea but, to be fair, the proportion of say 13-16 year-olds who had a mobile that could play video in 2006 was pretty negligible. 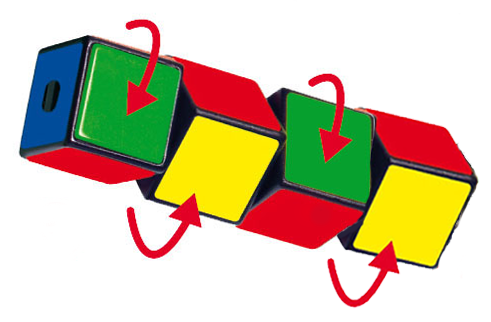 I digress, this was the design for the smartphone cover from the Rubik’s range. The cover could easily be modified to display the ‘care labels’ in the same way as the other four suggestions: Wearable options for details of these. 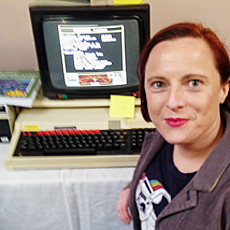 Then something interesting happened and the care labels took on new life – digital life. 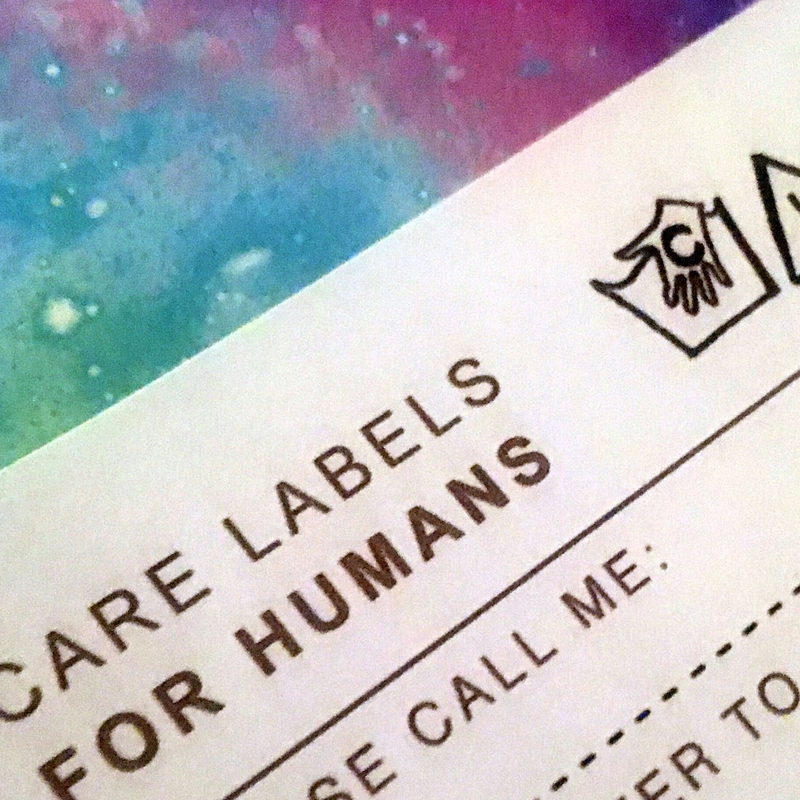 What if the care labels could actually talk to your smartphone or tablet or laptop – or, in fact, any connected device? It’s not quite Quantified Self territory, more the reverse. The wearer sets their physical care labels which in turn are communicated to their connected device and displayed in the signature of messages such as chat, email or text. Just a quick run through my thoughts on the types of wearable that will be offered. Pin / bar – to be worn Star Trek ‘communicator’ style i.e. breast pocket level. Necklace – attached to a chain or lace. Bracelet – as for necklace with option of elastic / rubberised band. Hair accessory – similar to pin / bar design. My research then took me in a completely different direction altogether. Not only identifying a new wearable option, but sparking an idea which had the potential to change the focus of the entire project. My original thoughts about the physical, wearable element of this project was that it should not have any direct digital input or output. I’ll try to sketch out one concept I have for the wearable. It will comprise a series of adjustable cubes – inspired by the design of the Rubik’s cube. This number of cubes has been chosen as it is usually the number of symbols shown on a clothing care label. This will limit the number of combinations of symbols that can appear on the outward-facing row at any one time. The exact mathematics of how many symbols are offered and which symbols can be displayed at the same time requires experimentation and testing in order to settle on a launch formula. To get the best out of our clothes, and to make sure that they look and feel their best, we need to treat their fabric or fabrics with respect. For this reason you will find ‘care labels’ on almost everything you wear. My project aims to devise a scheme of symbols which serve to communicate the moods and needs of individuals to each other by visual indicators alone. Although my thoughts are at an early stage I envisage this to be through a wearable item such as necklace, brooch, pin or bracelet. You may or may not be familiar with these care labels that virtually all manufactured clothes come with. I have to admit that until last week I had two of the basic shapes mixed up, so I thought I’d share a link to the standard symbols. Care labels as defined by the UK Fashion and Textile Association. They are owned by Paris-based international organisation GINETEX, which is represented in Britain by the UK Fashion & Textile Association (UKFT). But how do you *really* feel? Sometimes it’s not always easy to describe how you’re feeling. You may feel over-whelmed, worried that you might make others feel over-whelmed, just not have the words or want to avoid thinking about what it is that is really occupying your mind. I had already used a mood tracking tool which allows you to rate your emotions on a daily basis, and with some awareness of wearable tech I wondered if there was a more immediate way that data about our moods could be simply communicated to others – quite literally wearing our hearts on our sleeves. That’s what got me started thinking about “what if people had care labels like clothes?”. And with a quick Twitter exchange with quantified self advocate @cubicgarden and wearable tech expert @rainycat I decided it was time I started blogging. This is just a quick introduction to celebrate the fact that I managed to get this blog onto my custom domain and let you know this is just the start of the “Cheer up love” project.